With a wedding to perform and our own daughter’s forthcoming wedding, my plan was to let the blog go today (translation: a vacuum of good ideas), but then, sitting in the office, preparing for the wedding, a post presented itself. When in my office, I listen to music – anything from classical to classic rock, to present-day rock, to mellow tunes, to country, to show tunes, and everything in between. Back then, you had two practical choices if you wanted to listen to music. Either you put an 8-Track tape in the player in your car, or you listened on vinyl, also known as an LP Record. An LP is a big flat, pizza-shaped piece of plastic with grooves in it. An amplified needle would move within the grooves to produce the sound. 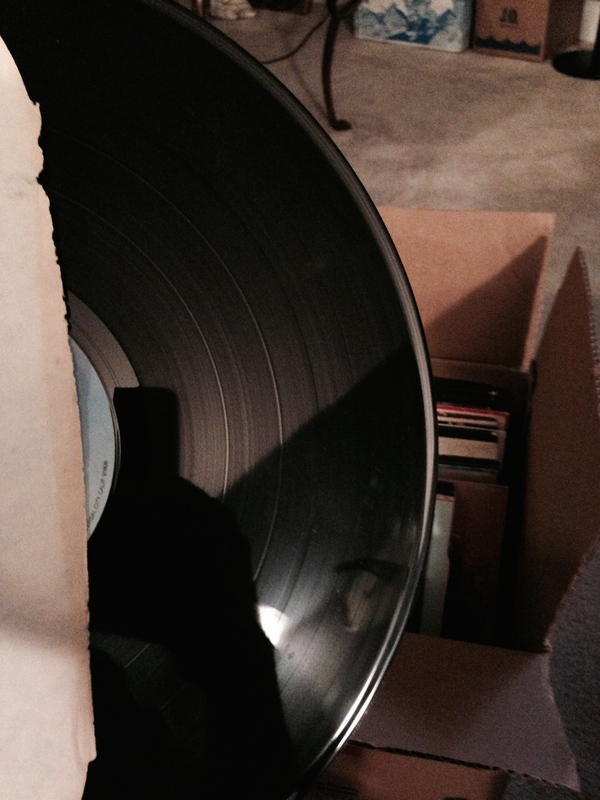 The thing with an LP is that if it became scratched, then the song would skip. As I sang along this morning, when it came to the place in the song where John sings the words, ‘…in my darkest dreams…’, whereas he continues with the next written lyrics, I sang along as I had when I would play my scratched LP. Even though the MP3 didn’t skip, I did! At first I laughed it off, and was amazed that I probably haven’t sung the song correctly since before my LP got scratched. Then it struck me that when I am honest, deep within, I am prone to believe the lie that I am a damaged tune rather than the new song that has been composed into my life in the gospel. It isn’t an acceptance of my brokenness, but a rejection of it. Or more accurately, a rejection of God’s grace, that in Jesus the Father loves me, and sees me and accepts me – as whole, which means that the song we will one day sing when heaven and earth become one, is already playing on my behalf. Wow, what a concept! In light of what is written here, my rejection of God’s grace outnumbers my times of acceptance of it, no doubt. Thanks for the new insight. One of my very favorite authors is Brenna Manning. You are currently reading ‘In My Darkest Dreams…’ (aka someone saved my blog tonight) at unfinished1.